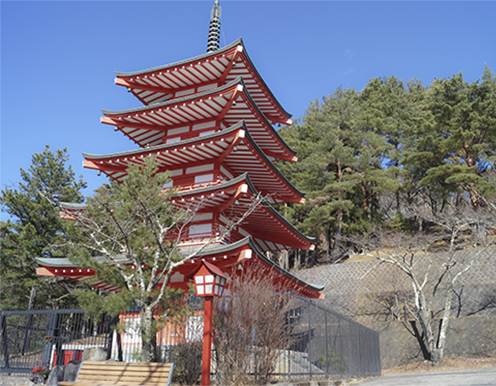 This iconic five-storied pagoda is in Arakurayama Sengen Park overlooking Fujiyoshida City and Mt. Fuji. The location offers spectacular views of Mt. 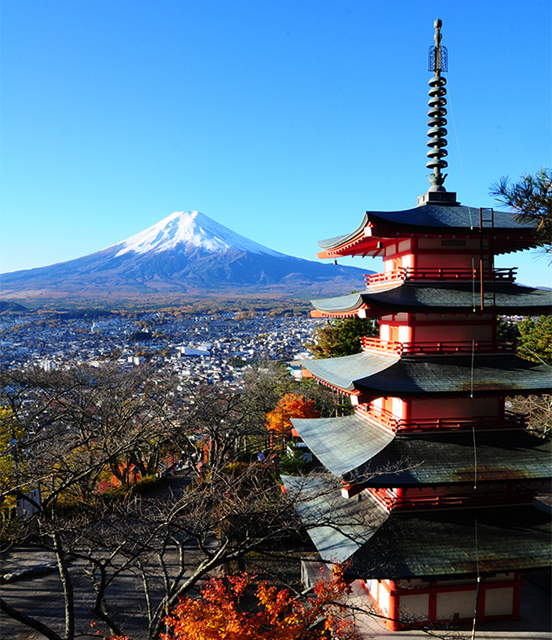 Fuji in combination with the pagoda, especially during the cherry blossom season in mid-April when there are hundreds of trees in bloom and during the autumn color season in November. 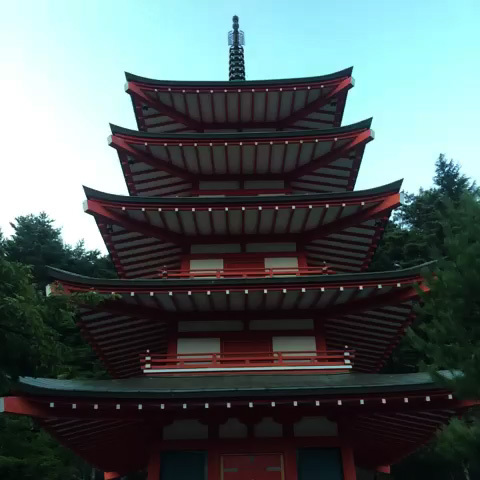 The spot is particularly popular among photographers as it allows for some wonderfully typical scenery of Japan.